Glenmorangie Single Malt Scotch Whisky originates in the Scottish Highlands where, at the Glenmorangie Distillery, it is distilled in the tallest malt whisky stills in Scotland for a purer spirit, expertly matured in the finest oak casks for great depth, and perfected by the Men of Tain, who have passed their skills down the generations, often from father to son. These select craftsmen go to unseen lengths to ensure that Glenmorangie is made in the same unhurried, uncompromising way as it always has been. 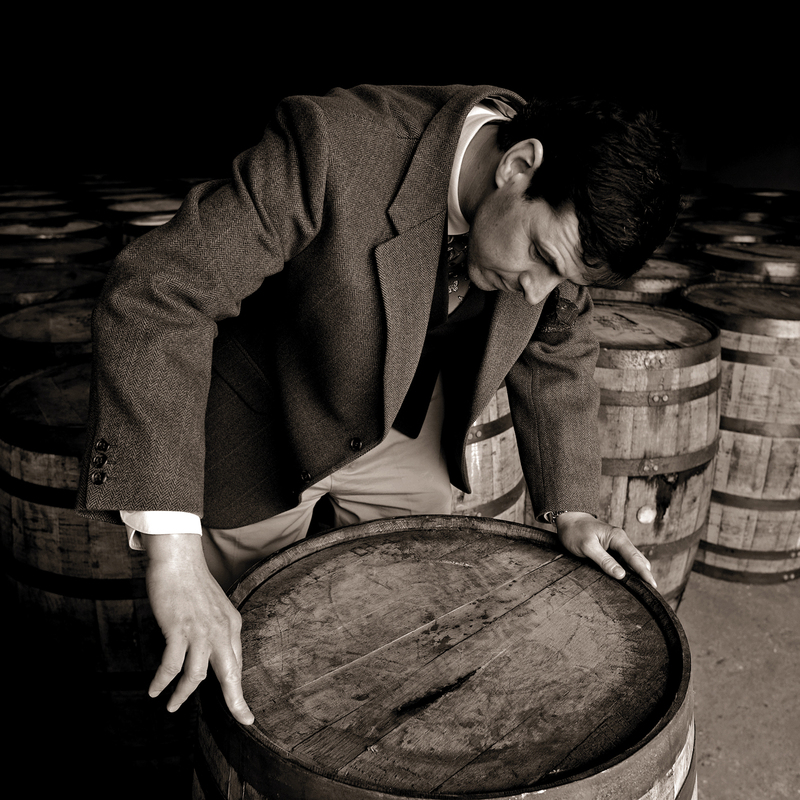 The Distillery was founded in 1843 and is renowned as a pioneer in its field, uniting tradition with innovation. The first whisky created from yeast growing wild on Glenmorangie’s own barley marks the tenth anniversary of the Highland Distillery’s pioneering Private Edition series. 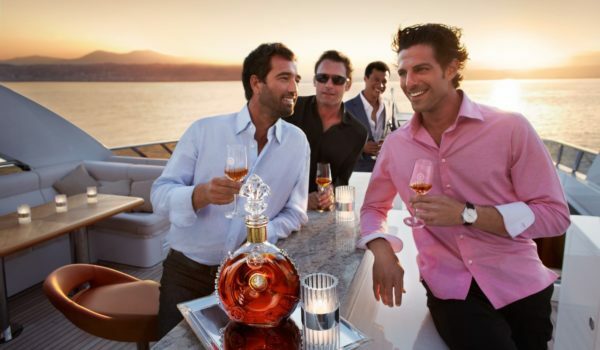 For a decade, Glenmorangie has invited whisky aficionados to explore its passion for innovation through this acclaimed series of rare and intriguing limited-edition single malts. 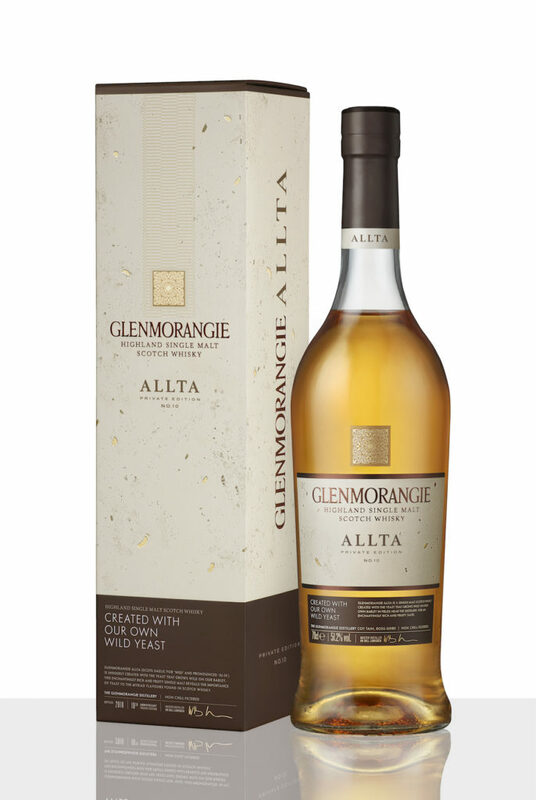 Now, in the collection’s rich, fruity tenth release, Glenmorangie Allta (Scots Gaelic for ‘wild’ and pronounced ‘al-ta’), the Distillery reveals the importance of yeast to Scotch whisky’s myriad flavours. Although yeast is all around us – in the soil, on plants, such as barley, and even on our skin, not all species are suitable for use in distilling. 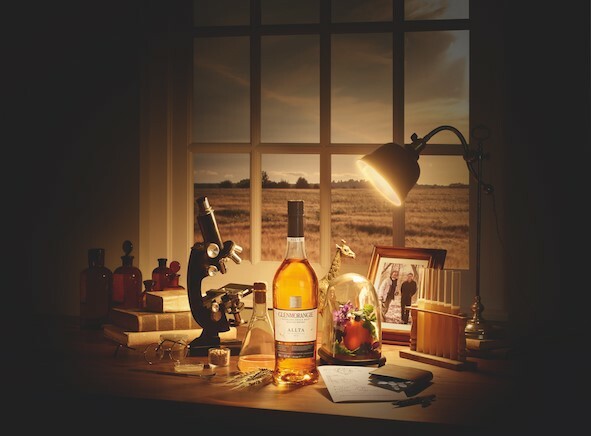 Acting on his intuition, Dr Bill sent a sample of the barley grown in fields near Glenmorangie’s Highland home, Cadboll, to be tested in the laboratory. There, he found that the yeast those ears harboured – Saccharomyces diaemath – was ideal for creating whisky. 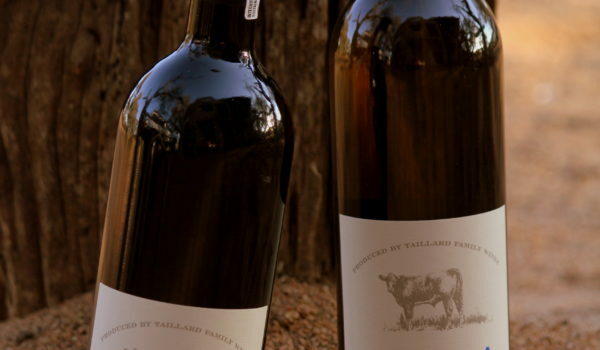 He arranged for Saccharomyces diaemath to be cultivated by Glenmorangie’s yeast supplier. Then, when the barley on which it had grown was ready for use in the Distillery, he brought them together in the whisky-making process, to create an exceptionally fragrant spirit, which would perfectly demonstrate yeast’s impact on flavour.